Relax in the Shade with a Seat For Everyone! Tables, Chairs & Tent Rentals from Orlando Fun Party Rentals make sure every guest at your event have a place to sit and enjoy the party! We are happy to supply a large array of tables, chairs & tent rentals to choose from that are comfortable for small gatherings or even large weddings! We set ourselves apart by also offering an assortment of table sizes and shapes, chair colors, and tent rentals to make sure each party is the best one yet. Check out our tables, chairs & tent rentals below to decide on the best fit for your event! Orlando Fun Party Rentals is locally owned and operated, and we pride ourselves in amazing customer service and safety! We are licensed and insured to ensure a worry-free party rental experience for all of our customers. Each of our tables, chairs & tents are cleaned after every rental, so rest assured that your guests are having fun in a safe and cleanly environment. Orlando Fun Party Rentals is located in Orlando, FL, and we service the surrounding areas. Travel fees may apply, so contact us for more information to set up your tables, chairs & tent rentals today! Our High Back Throne Chair will definitely make a statement at your next event! All white leather with diamond buttons for a royal finish. 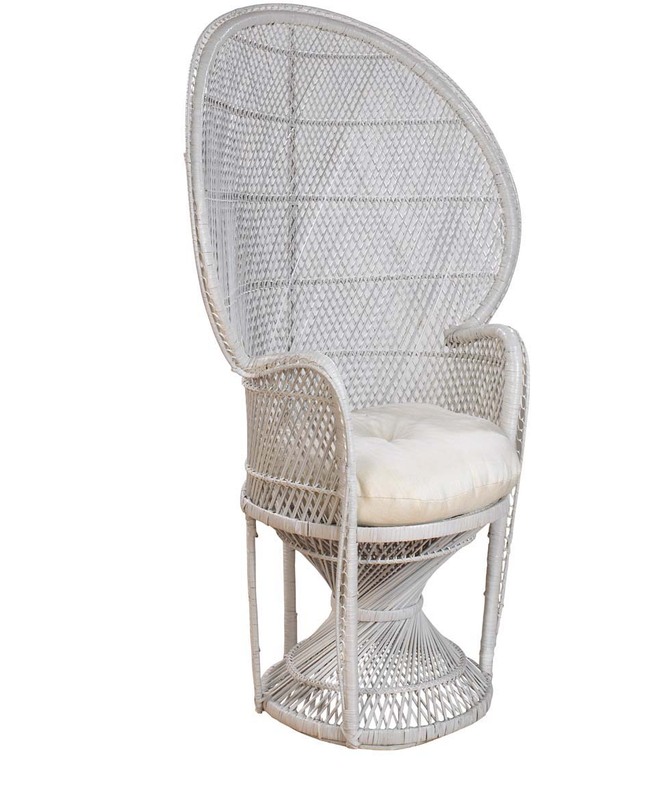 Our throne chair is perfect for weddings, baby showers, anniversaries and more! Our all white design allows for use with any decor type. Add a rug, throw or decorative pillow for more pizzazz! Our Luxury Chaise provides a romantic, classy seating arrangement at your next event! Featuring all white leather with diamond buttons for a royal finish. 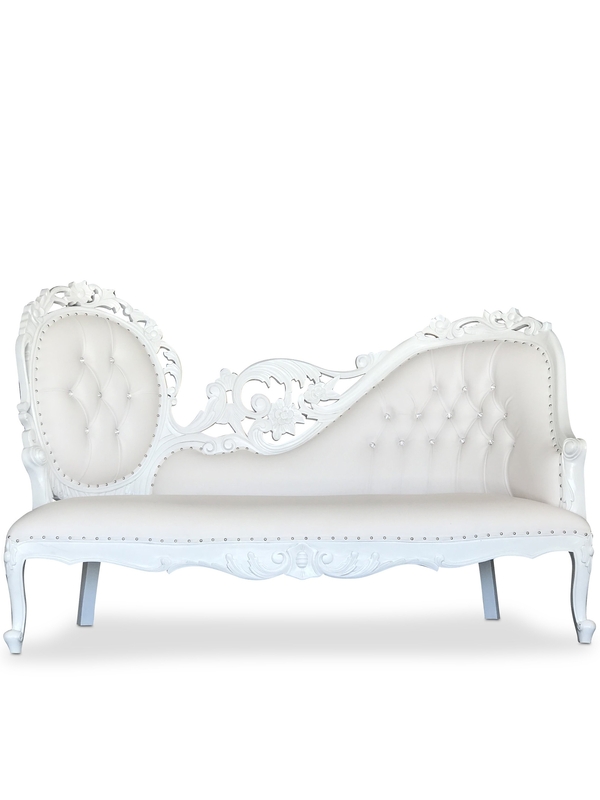 Our luxury chaise is perfect for weddings, baby showers, anniversaries and more! Our all white design allows for use with any decor type. Add a rug, throw or decorative pillow for more pizzazz! 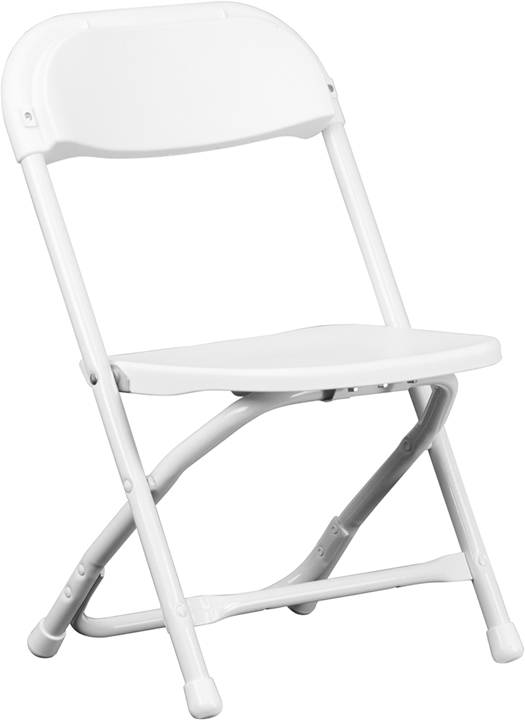 Our Classic Baby Shower Chair is PERFECT for the new moms to be center stage at their event! Comes plain as pictured. 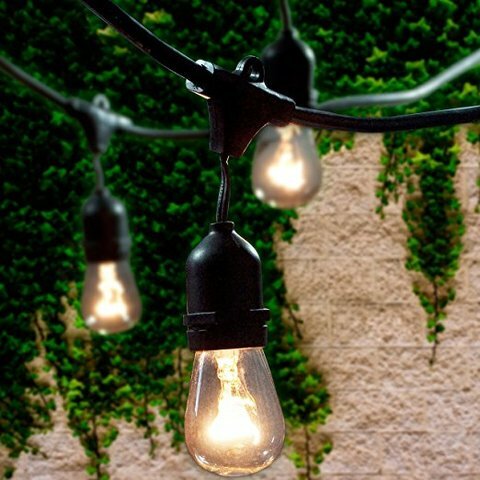 Customer may decorate to their liking to create a design suitable for the event theme. Must be returned in the same condition as rented. Our Resin Padded Folding Chairs can be used alone or with a colorful chair sash to make a full, complete look according to your event theme/colors. 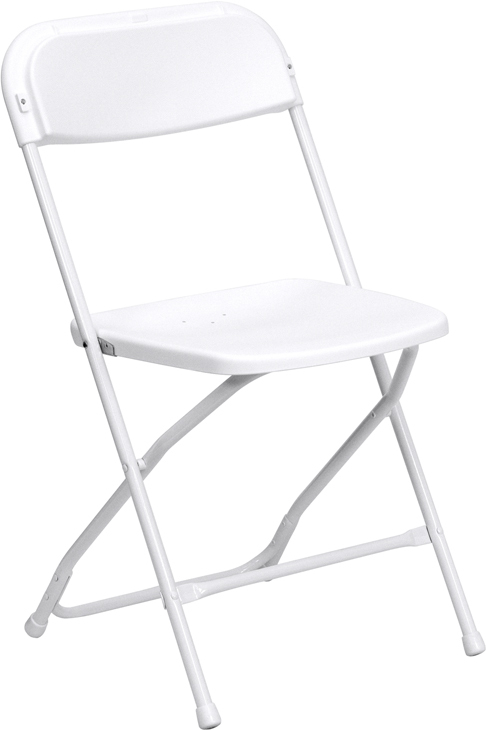 Our White Folding Chairs can be used alone or with a chair sash. Jazz up your event space even more by adding both a chair cover and sash to make a full, complete look according to your event theme/colors. 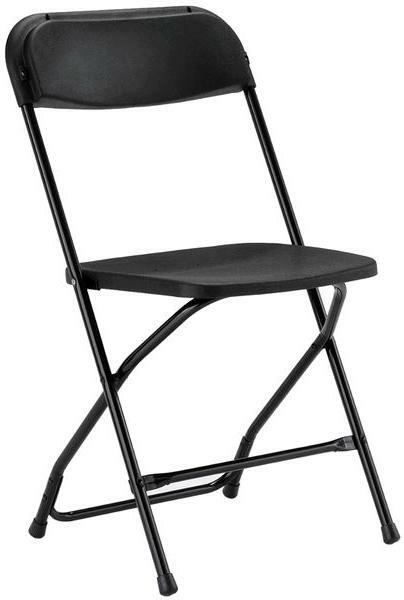 Our Black Folding Chairs can be used alone or with a chair sash. Jazz up your event space even more by adding both a chair cover and sash to make a full, complete look according to your event theme/colors. 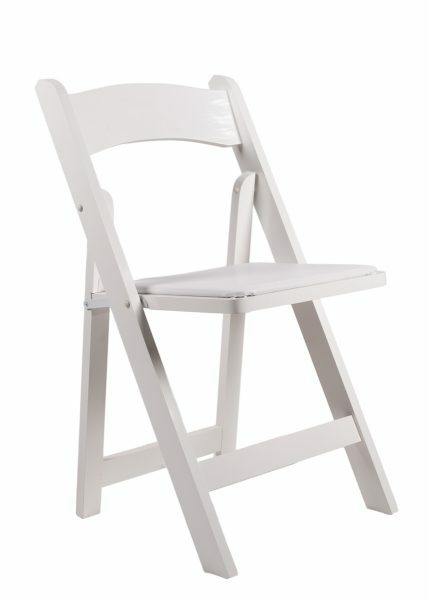 Our Kids White Folding Chairs can be used alone or with a chair sash and provides a perfect seating option for the little ones. Our Kids Throne Chair will definitely make a statement at your next event! 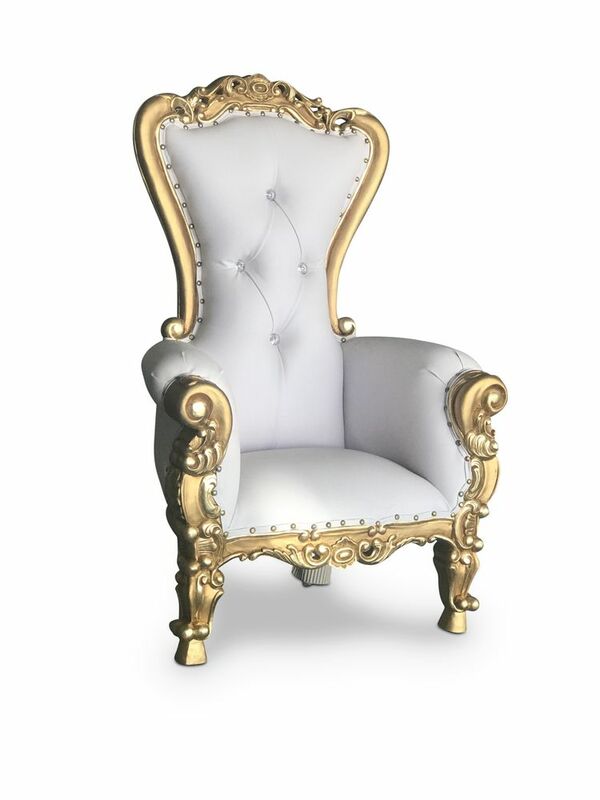 Gold & White leather luxury chair with diamond buttons for a royal finish. 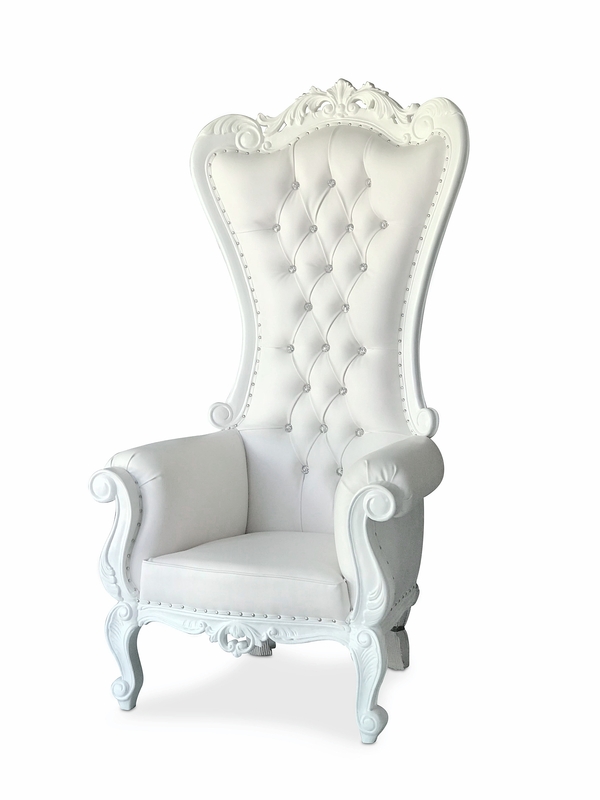 Our kids throne chair is a perfect way to make your prince/princess the center of attention! Need a place to hold presents, candles, display your cake or somewhere to eat? Here’s the answer. These round 3′ tables seat 2-3 adults comfortably. Drape with our (108) OR (120) round tablecloth to complete your look in (30 inch height). Our Cocktail Tables are perfect for any event. Whether you’re having a cocktail hour or just want a nice decor for a social setting, this table will be a great addition. Drape this table with our (120) or (132) round tablecloth to finish the look (42 inch height). 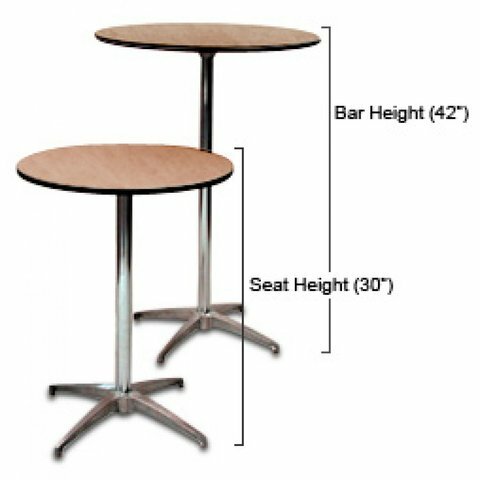 Our 48in Round Tables can be used at your event/venue for any purpose. 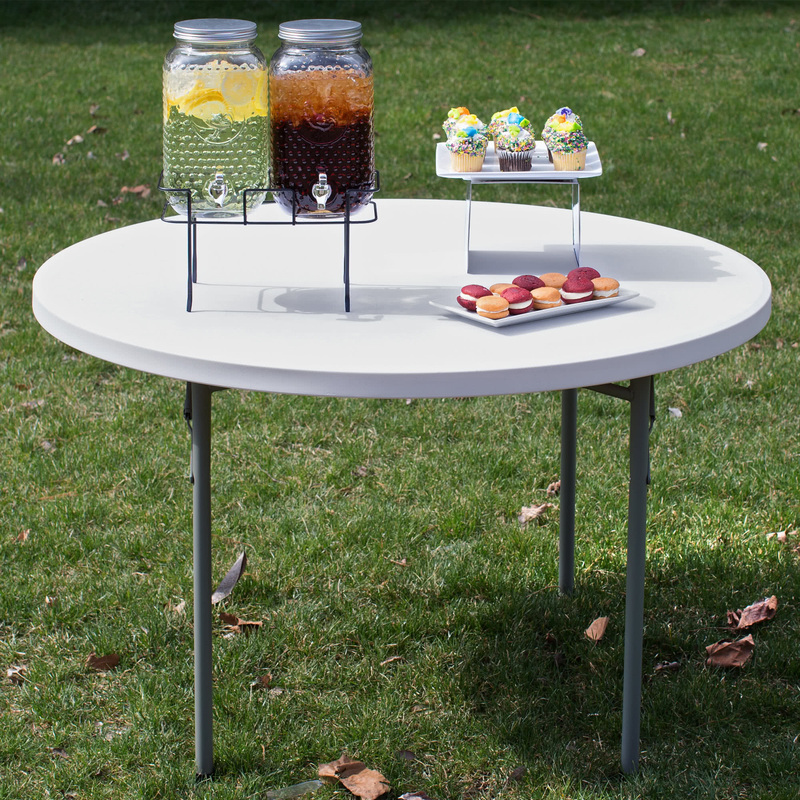 Perfect for a sweetheart table, desert table or cake table. This table also seats (4) comfortably up to (6) max. If you’re considering adding our tablecloths, size (108) will fit floor length. Please keep in mind that these are rental tables. Some form of table covering is recommended. 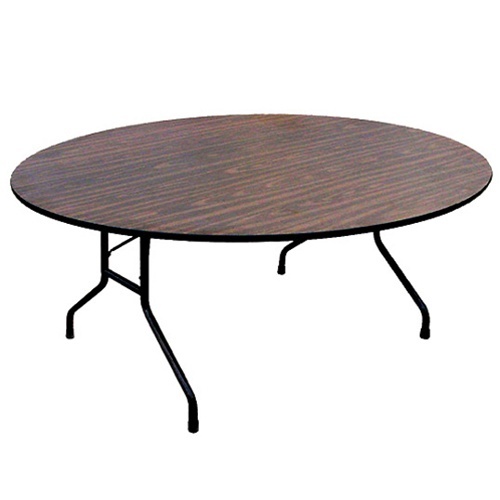 Our 60in Round Tables can be used at your event/venue for any purpose. Add our table covers and other decor to turn plain tables into a beautiful masterpiece. This table seats (6) comfortably up to (8) max. If you’re considering adding our tablecloths, size (108) will reach 3/4 from the floor and size (120) will fit floor length. 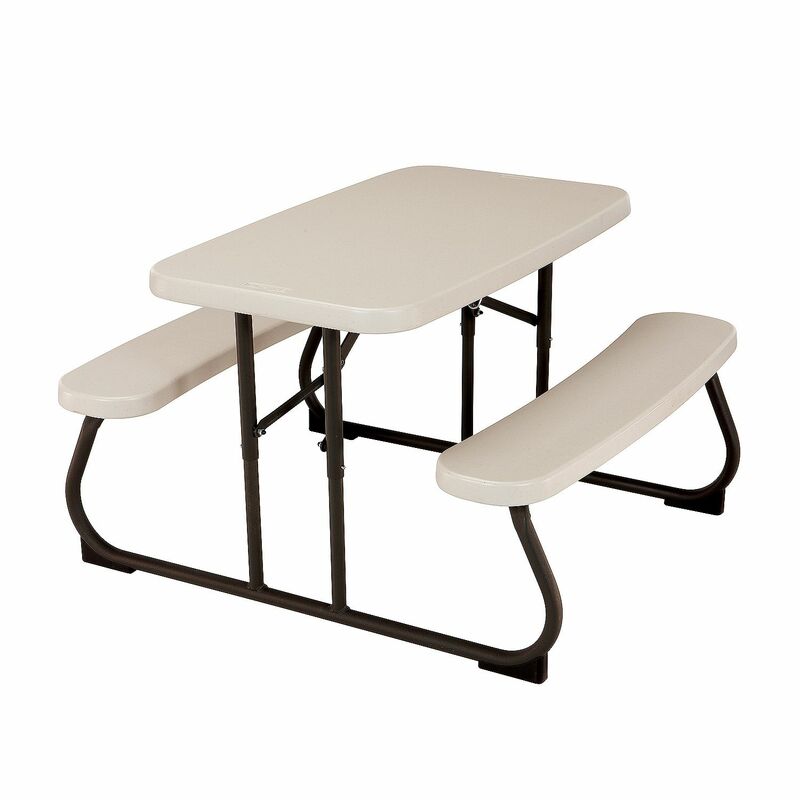 Our Kids Folding Tables can be used at your event/venue to seat the little ones. This table seats (4) kids comfortably or (6) when using both ends of the table. Please keep in mind that these are rental tables. Some form of table cover is recommended. Our Kids Picnic Table can be used at your event/venue to provide seating for the little ones. Seats a Max of (4) children. 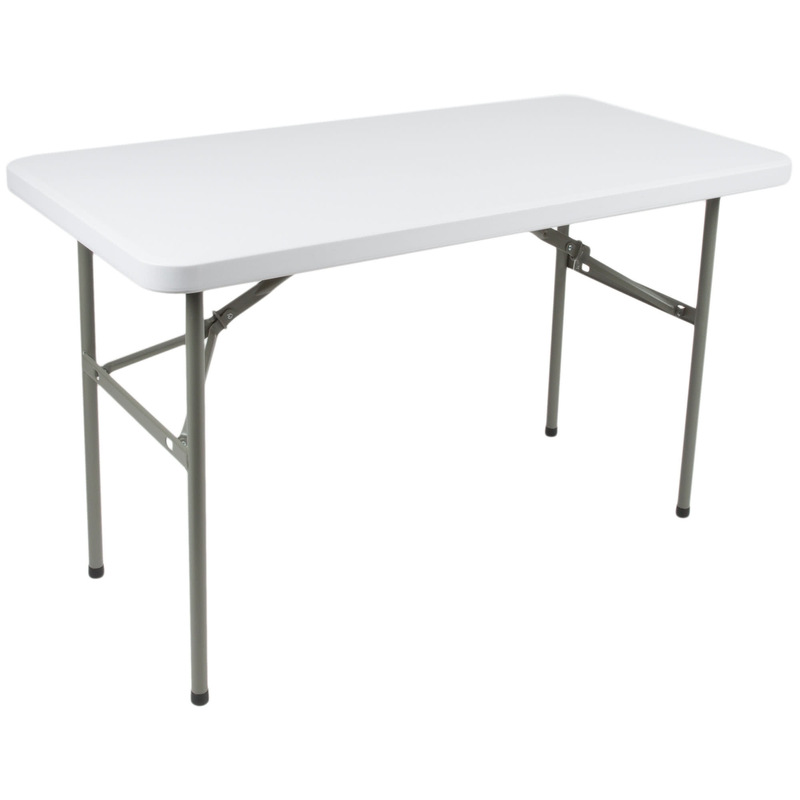 Our 4ft Folding Tables can be used at your event/venue for any purpose. Add our table covers and other decor to turn plain tables into a pleasurable sight by using colors to tie in your party, wedding or any event theme. This table seats (2 to 4) comfortably. If you’re considering adding our tablecloths, we have spandex linen that will fit perfectly. 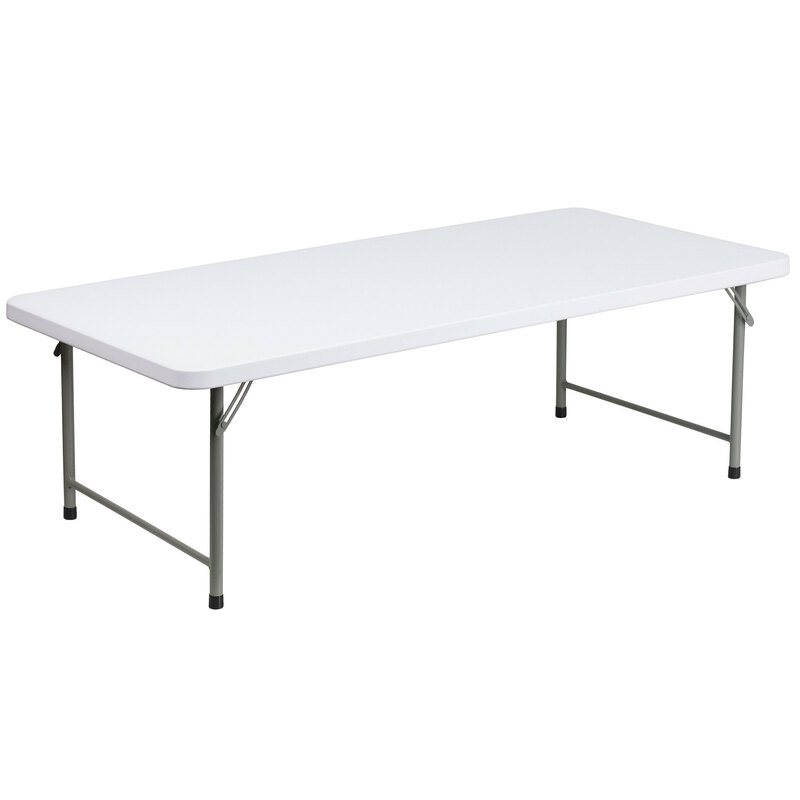 Our 6ft Folding Tables can be used at your event/venue for any purpose. Add our table covers and other decor to turn plain tables into a pleasurable sight by using colors to tie in your party, wedding or any event theme. This table seats (6) comfortably or (8) when using both ends of the table. If you’re considering adding our tablecloths, size 90 x 132 will fit perfectly. Our 8ft Tables can be used at your event/venue for any purpose. Add our table covers and other decor to turn plain tables into a pleasurable sight by using colors to tie in your party, wedding or any event theme. This table seats (8) comfortably or (10) when using both ends of the table. If you’re considering adding our tablecloths, size 90 x 156 will fit perfectly. 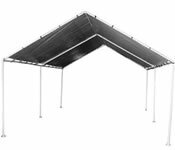 Our 10X10 Canopy is perfect when you only need minimal coverage for your event and will fit at least (1) of our 6ft folding tables comfortably. 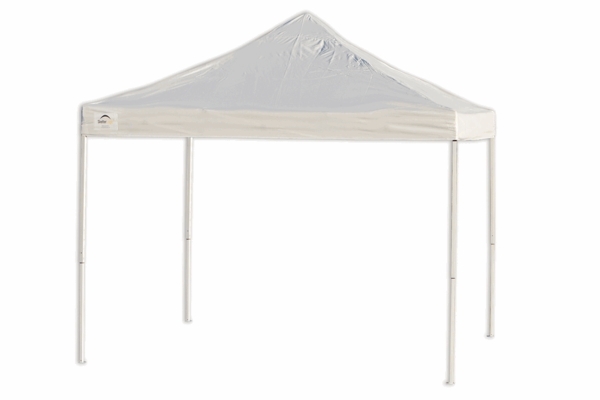 Our 10X20 Canopy is perfect when you only need coverage for your event. 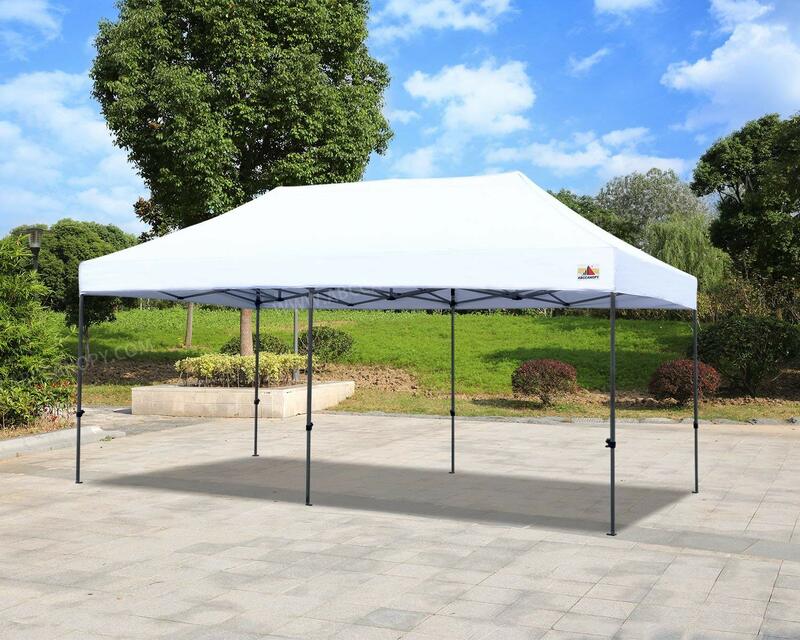 This size tent will fit at least (3) of our 6ft folding tables comfortably. 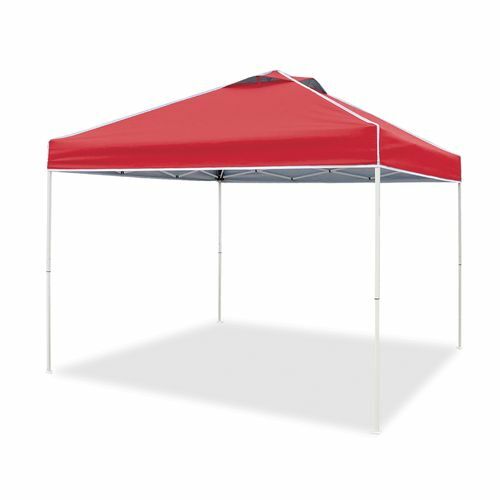 Our 10×20 Tarp Tent offers great coverage for any event: backyard parties, graduation celebrations, baby showers and more. This tent will fit at least (3) of our 6ft folding tables. The tent cover is grey in color- there are no other color options available. Or 20×20 Tarp Tent offers great coverage for any event: backyard parties, graduation celebrations, baby showers and more. This tent will cover at least (6) of our 6ft folding tables. The tent cover is grey in color- there are no other color options available. 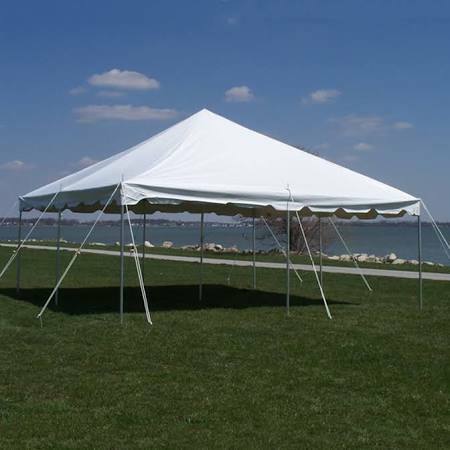 Our 20×20 White Pole Canopy Tent is the perfect party tent for your outdoor event, including weddings, graduations, church functions, reunions and more. 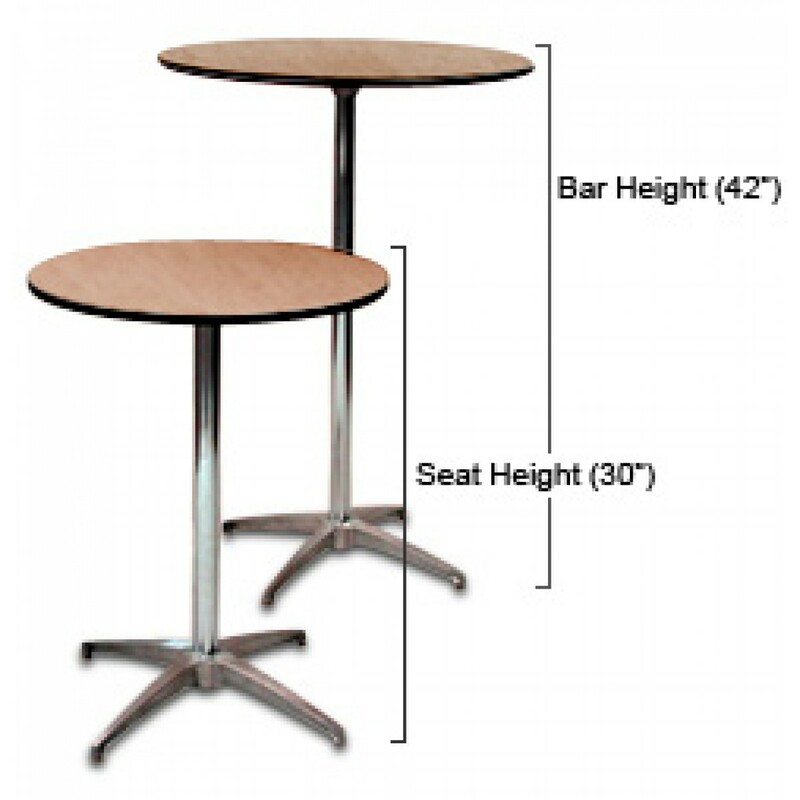 This size offers a nice coverage area and will fit (6) of our 6ft folding tables and (4) of our 60in round tables. 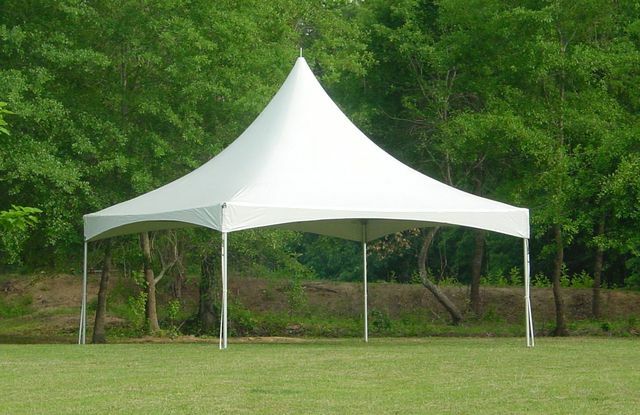 This style tent HAS a center pole. We ONLY setup on grass. Our 20×20 High Peak Tent is the perfect party tent for your outdoor event, including weddings, graduations, church functions, reunions and more. This tent offers that elegant appearance that takes your event decor to the next level. 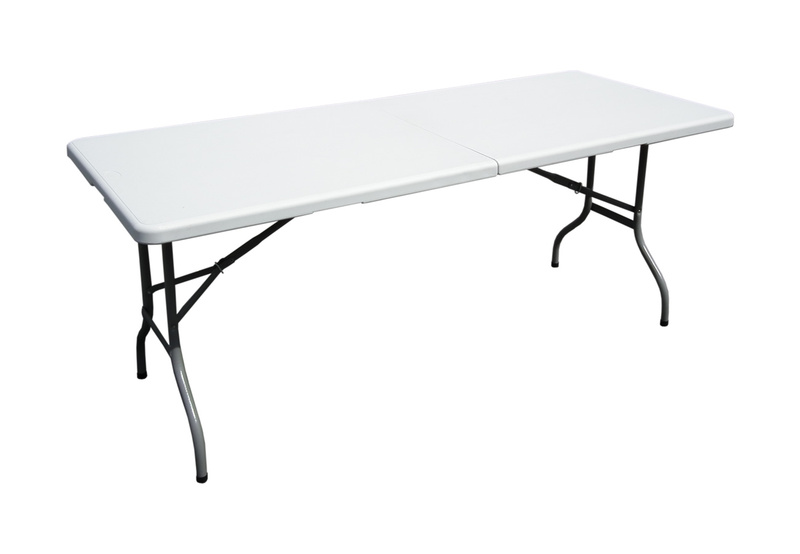 This size offers a nice coverage area and will fit (6) of our 6ft folding tables OR (4) of our 60in round tables. This style tent DOES NOT have a center pole. We ONLY setup on grass. 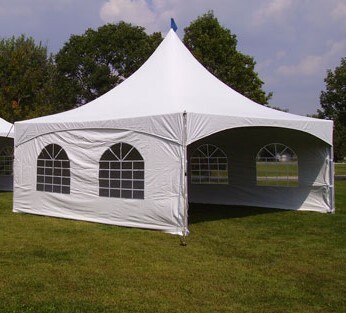 Our 20×20 High Peak Tent w/ Sides is the perfect party tent for your outdoor event, including weddings, graduations, church functions, reunions and more. This tent offers that elegant appearance that takes your event decor to the next level.